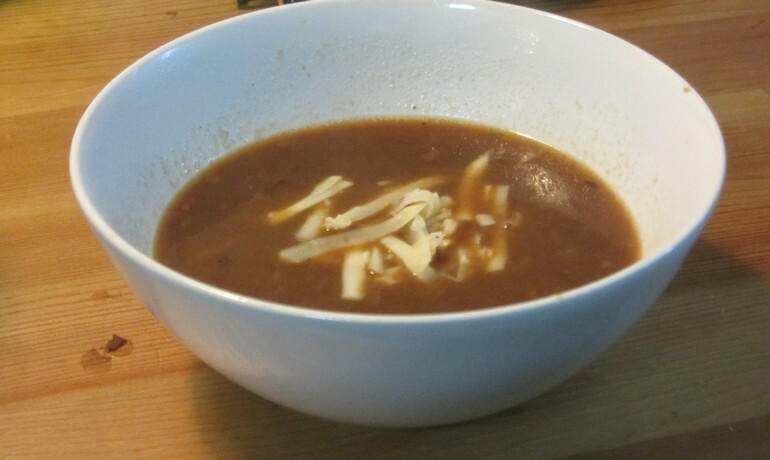 In the winter - there's nothing like a thick onion soup and when you’re looking for a great way to warm your body and mind, French onion soup with red wine is exactly what you need - especially if we add creamed cheese and croutons. I got the following recipe from a French chef, who rules with an iron fist for a great restaurant in the suburbs of Paris, and in general is just great person. 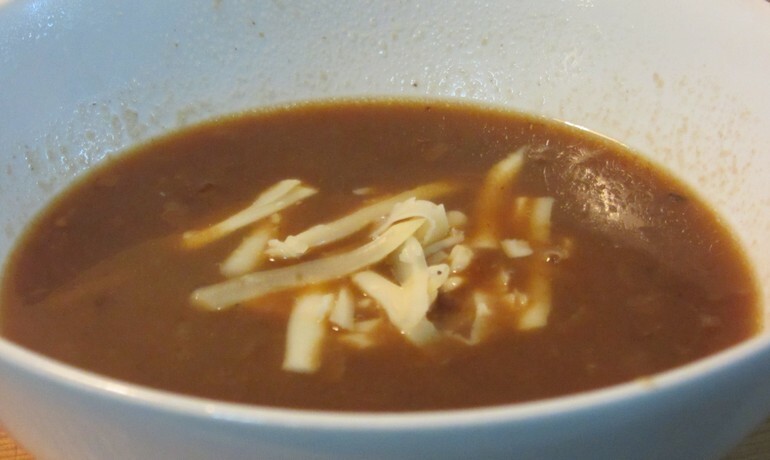 This French Onion Soup Classic is on the basis of red wine and Vegetable stock, when frying the onions in red wine for a long time it all becomes sweet, dark and beautiful - making it dark and thick - unlike Italian Onion Soup which is usually based on white wine. Peel the onions and clean up the remainders. 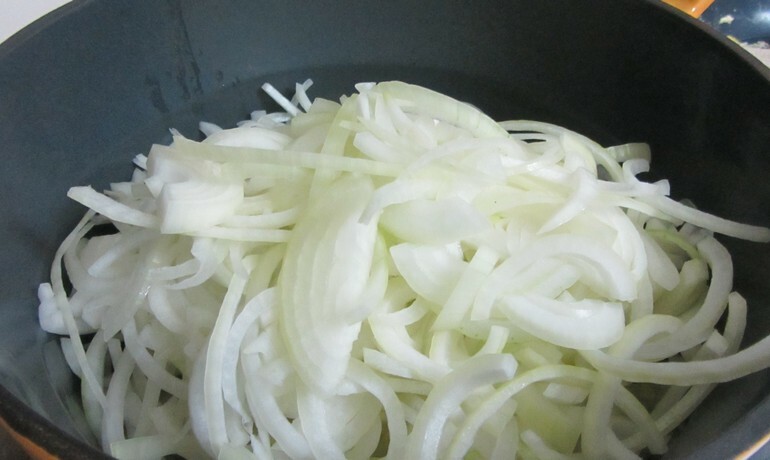 Cut the onions into half slices and separate the layers. 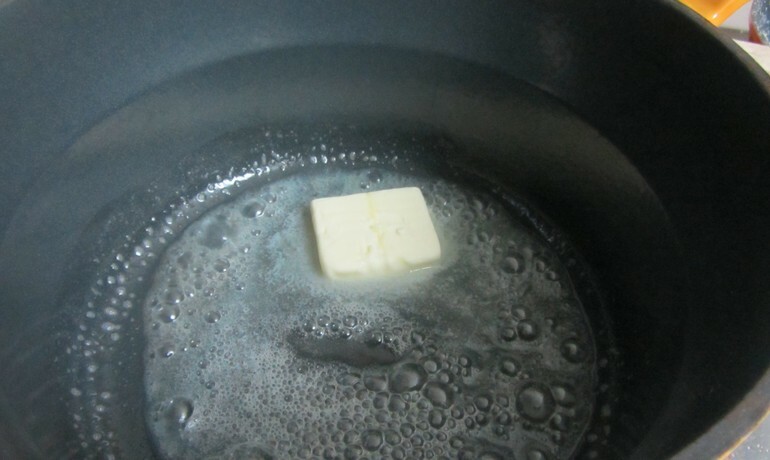 In a heavy cast iron saucepan, melt the butter and add a tablespoon of canola oil. When all the butter is melted - Place all the onions in. It fills most of the pot - but do not worry, it will shrink…..a lot! 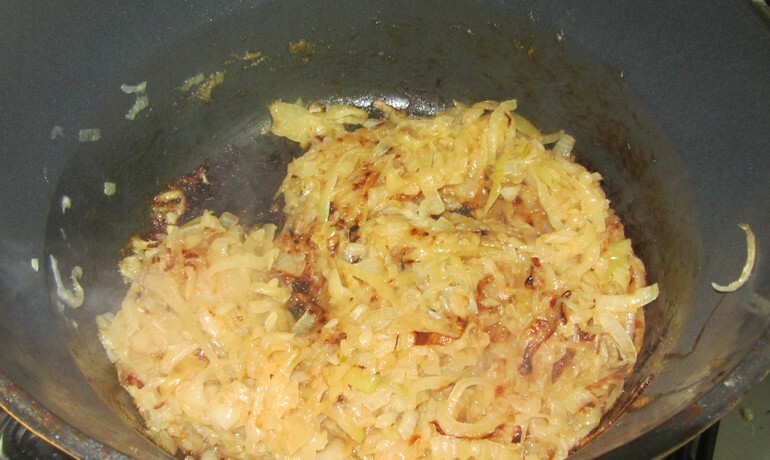 Start mixing and sautéing, lower the heat to a medium/low heat and close the lid. 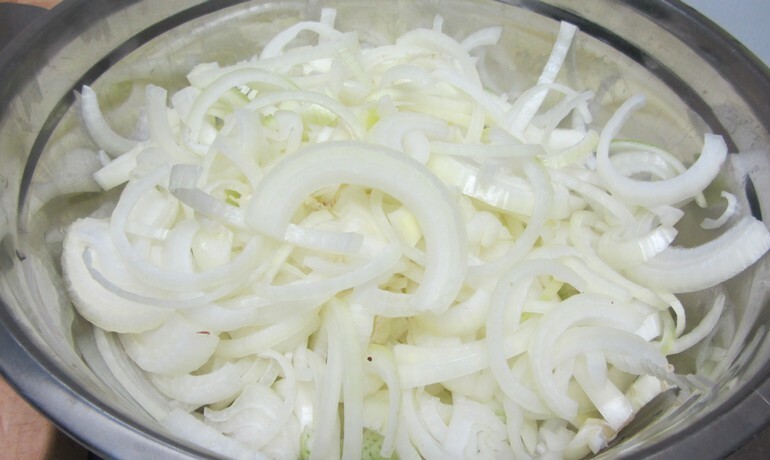 Give the fried onions give a few minutes, then open the lid and stir the onions with a wooden spoon. 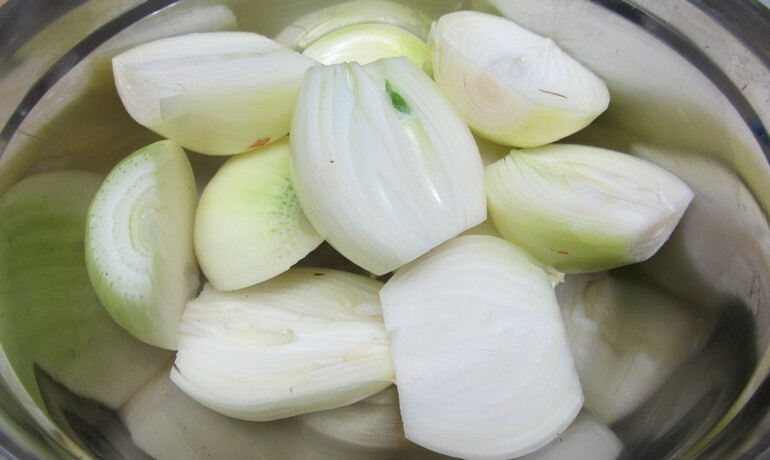 Sauté until the onion is getting to a dark brown color (not when it begins to brown - but right at the start of the browning). 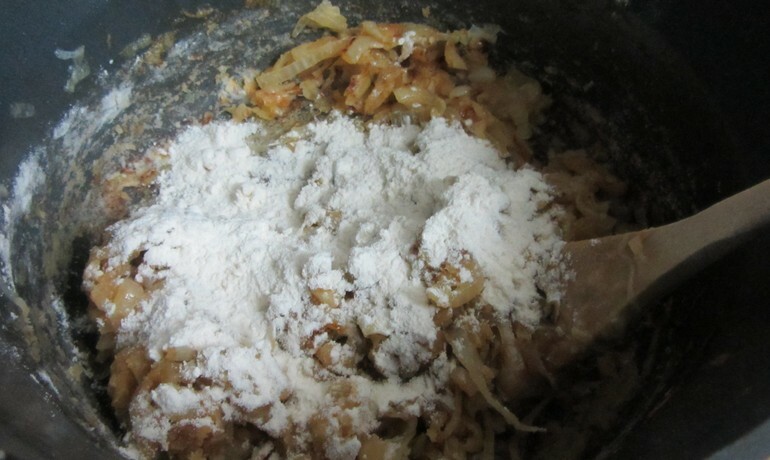 Add the flour - and fry, stirring until all the flour is well browned. Some of the flour sticks to the bottom of the pot – it’s not the end of the world. 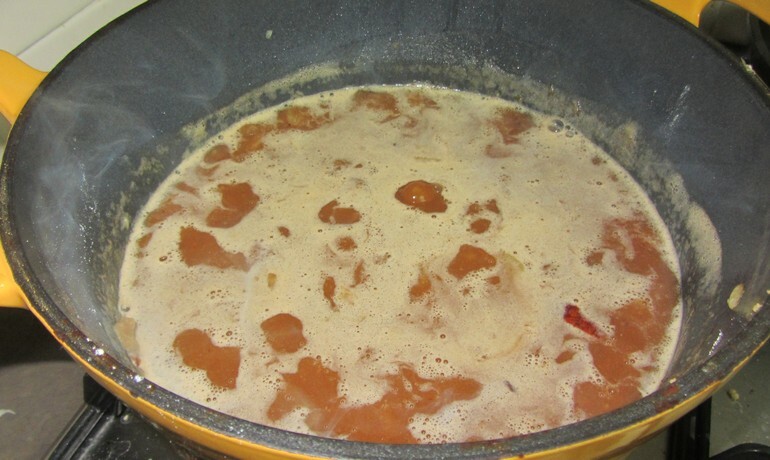 Add the boiling vegetable stock. The soup will start to bubble and now with a wooden spoon we begin to mix well and good - and scratch everything that sticks to the bottom of the pot. This action is very important because the part that sticks to the bottom are components which contains lots and lots of flavor. In french cuisine, this is called "de Grasaz" - and it is done in almost every dish. Add the cup of wine and stir. Add the sugar, nutmeg, salt and pepper and stir. 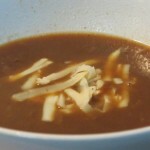 Lower to a medium - Low heat (having only light bubbling) and cook for 20 minutes. 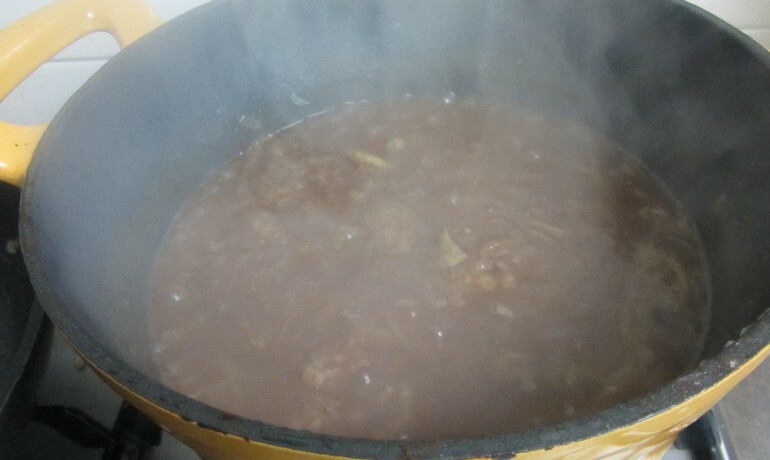 There you have it……French onion soup….with red wine! Add some cheese and croutons (preferably homemade).